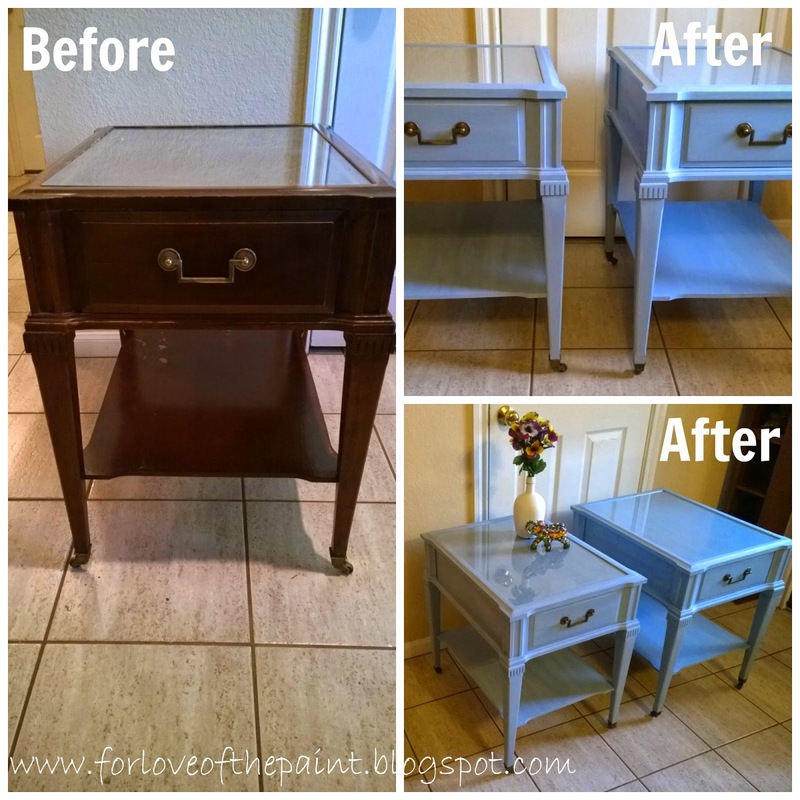 Here are some great antique side / end tables with glass tops, redone in Annie Sloan Louis Blue! A word to the wise: handle the glass with latex or non-latex gloves.. also, it is less expensive to get a new piece of glass cut than to have an existing piece shaved down. And if you do have that new piece of glass cut, measure it to make sure it's right before you leave the store. All lessons that I've learned the hard way so you don't have to! ...but they're gorgeous, right? Also, I found with the lighter blue colors, it is REALLY hard to wax without leaving areas of light and shadow. I know that a hand-finished item will have some natural variation, but this was more than I was anticipating. So I researched and found a trick to mix clear wax with a small amount of the paint color you're using. It worked!! These were definitely a labor of love, and I think they're just perfect!